Kansas is well-known for a couple things: sunflowers, sunsets and the Wizard of Oz. But did you know the warm summers and mild winters also make it possible to explore the outdoors year round? Besides those vast, wind-rippled wheat fields, Kansas is also home to woodlands, lakes, rivers, and some of the best campsites for stargazing in the U.S. So stop and take a look. You’ll find that Kansas is filled with outdoor adventures just waiting to be explored. The Sunflower State is a hiker’s paradise, with more than 2,900 miles of trails over different kinds of terrain. Whether you are a day tripper or a backpacker, there’s a trail to suit your needs. Take a walk across the rolling hills of the Konza Prairie. 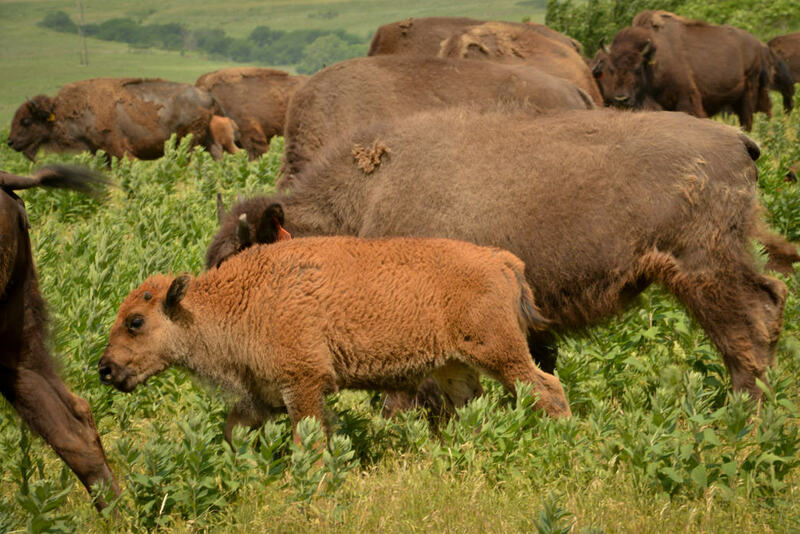 Be sure to keep an eye out for bison on the public trails through one of the last virgin swathes of tallgrass prairie on the planet. The Oregon Trail Nature Park—just north of Wamego—is the best place to walk along the historic Oregon Trail. Look for wagon ruts from the pioneer wagons and check out the 360-degree mural on the silo at the park. If you’re looking for a longer trip, tackle a section of the American Discovery Trail that cuts through the Midwest. Nearly 570 miles of the cross-country trail winds through Kansas, largely following the route of the historic Santa Fe Trail. This showcases an eclectic collection of the Sunflower State’s natural wonders including the Flint Hills, the Cheyenne Bottoms Wildlife Area, and historic Pawnee Rock. This sandstone bluff marks the halfway point of the Santa Fe Trail that was also once used as a gathering place by Native American tribes. The appropriately named Rock City is like no other place on earth. 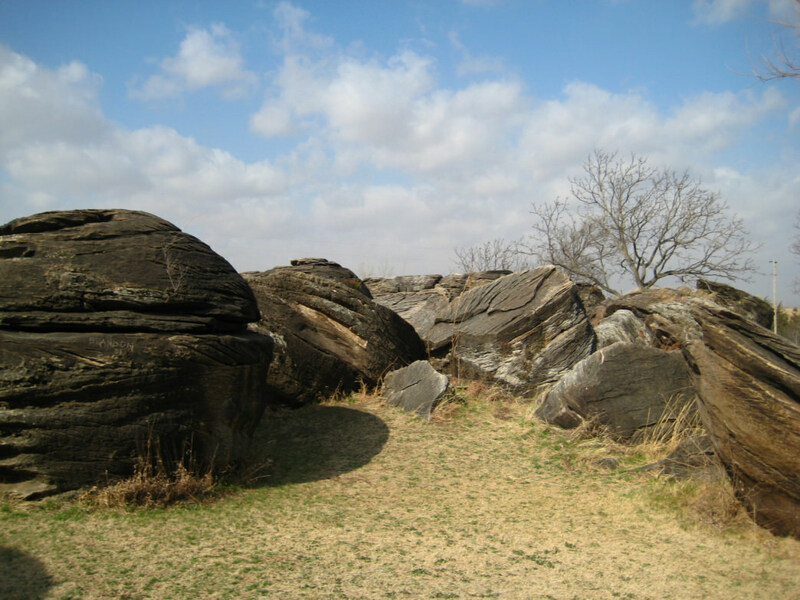 The easily accessible boulder field has about 200 sandstone formations that you can climb to your heart’s content. The boulders are short and the problems are on the easier side. Bring your crash pad and chalk bag and find your way up the Owen boulder or a classic problem like The Underbelly (V4) or I Like Turtles (V5+). Kids especially like climbing around the formations and running through boulders like Donut Hole Rock. Designated as a Registered Natural Landmark in 1978, this five-acre park is now open to the public. Kansas is a haven for birdwatchers, with more than 400 species throughout the whole state. 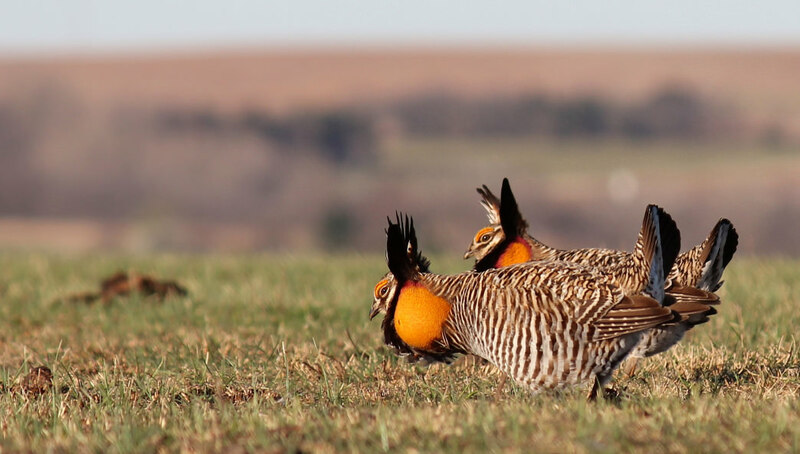 Besides rare birds like the greater prairie chicken, Kansas is part of the Central Flyway, a seasonal route for migratory birds. Some of the most important stops for migrating waterfowl on the planet are at the Cheyenne Bottoms Wildlife Area and the Quivira National Wildlife Refuge. Nearly 170 million acres of tallgrass prairie once covered a big chunk of the United States, smack dab in the middle of the country. In less than a century, the prairie was transformed into America’s breadbasket, and today, only about four percent of this iconic American ecosystem remains in the Flint Hills of East-Central Kansas. Get a firsthand glimpse of America’s tallgrass prairie on the nearly 40 miles of trails at the 10,000-acre Tallgrass Prairie National Preserve about 80 miles northeast of Wichita. You can usually spot the preserve’s roving bison herd in the Windmill Pasture, along the Scenic Overlook Trail, but keep your distance. They may look cute, but they aren’t always friendly. Throughout the 19th century, iconic transcontinental train lines were carved through the plains in Kansas on a quest for the Pacific. Today, many of these abandoned train lines have been repurposed for recreation and converted into rail trails, including the seventh longest rail trail in America. The 117-mile Flint Hills Nature Trail not only showcases the namesake Flint Hills, but also winds through some of the planet’s only remaining tallgrass prairie, and skirts the Marais des Cygnes River. Another wonderful option is the Prairie Spirit Trail, a 52-mile path in eastern Kansas that connects to the Flint Hills Nature Trail in the north. Along this easy ride (or hike! ), expect to see some of the area’s small towns, wildlife, rivers, and farmland. Ditch the hotel and stake out a spot under the stars for the night. 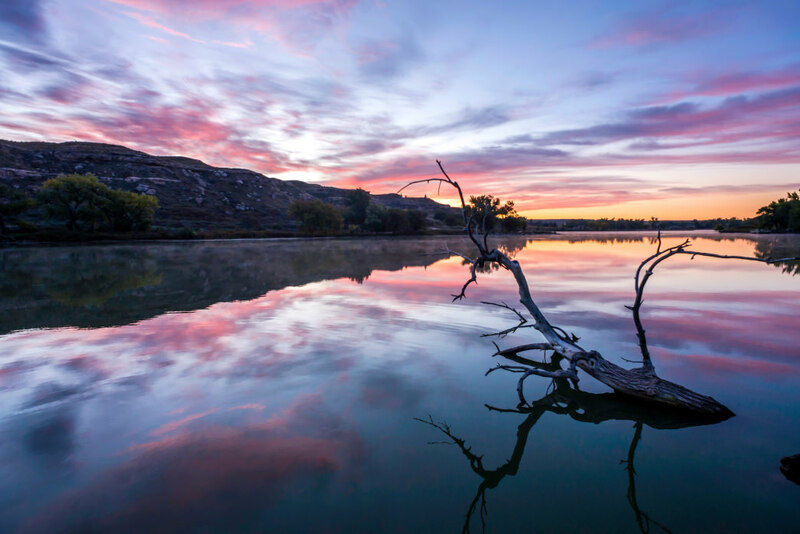 Loaded with 26 state parks, Kansas has options for campers of all types, and Lake Scott State Park in western Kansas is one of the best places to stay busy during the day and spend the night gazing at the Milky Way. 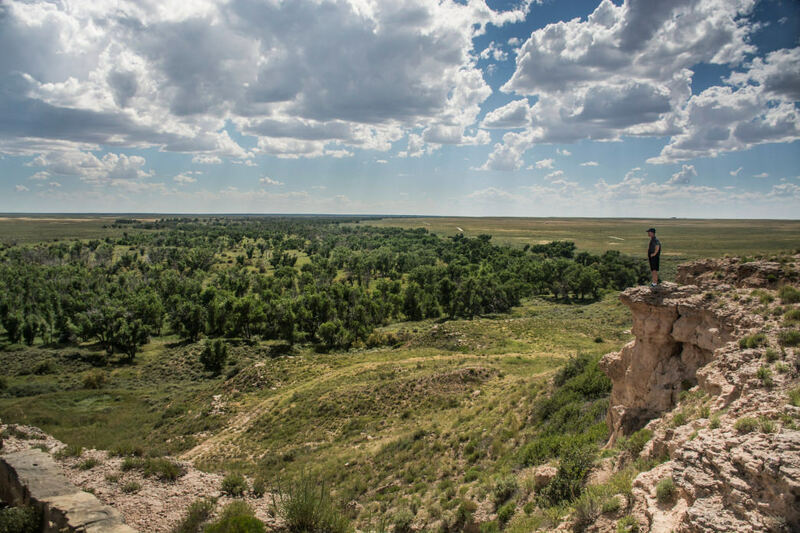 The park is in a canyon at the edge of a prairie, which means it’s far from any city, and there are more than 100 primitive campsites to choose from. There have been more than 26 archaeological sites found at this history-rich park, including the remains of El Cuartelejo, the northernmost Native American pueblo in the United States, and Battle Canyon, the site of the last Native American battle in the state. One of the best things about spending time outdoors is seeing animals in their natural habitats. Kansas has four National Wildlife Refuges, each with unique ecosystems and a variety of birds and animals to spot. At Flint Hills National Wildlife Refuge, grasslands, wetlands and woodlands are home to almost 300 species of birds, but you can also spot white-tailed deer, bobcats, coyotes, beaver, and river otters. In the summer, look carefully for turtles, snakes, and other amphibians. If you’ve ever wanted to spy a majestic bald eagle, go to Flint Hills in the winter, or head over to Kirwin National Wildlife Refuge. For the past three years, there has been a pair of nesting bald eagles making their home at Kirwin, and earlier in the winter (December) is better than waiting until later. Listen for prairie dogs barking at you as you walk around, too. Marais des Cygnes National Wildlife Refuge is continuously restoring and maintaining habitats for the monarch butterfly, creating a haven for the insects during their fall migration. Not just the monarchs appreciate the refuge’s efforts, though, more than 50 species of butterflies are found here. Lastly, Quivira National Wildlife Refuge is part of the Central Flyway, as mentioned above, but is also home to beavers, rabbits, coyotes, white-tailed deer, muskrat, the plains pocket gopher, and you might even catch a glimpse of a bat if you are around at dusk. Bring your bike and head for the Smoky Hills to ride the beloved Switchgrass Epic Mountain Bike Trail at Wilson State Park. 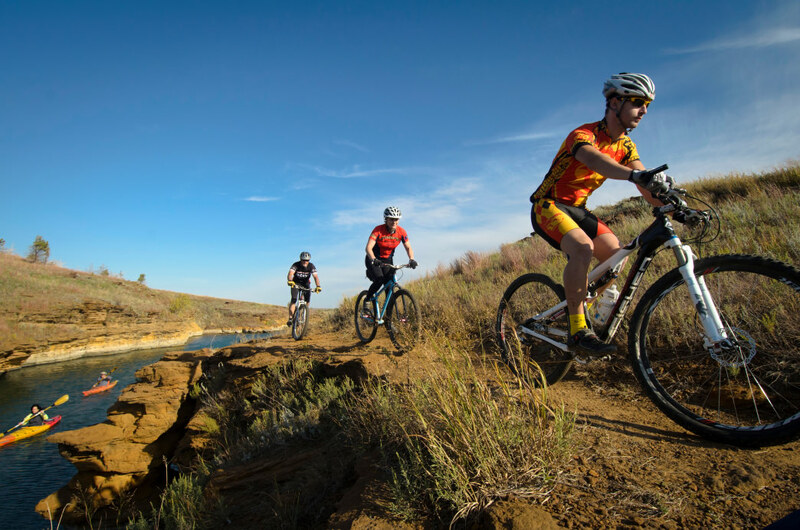 The 25.5-mile stacked loop through clay-colored sandstone and along Wilson Reservoir was even given the Epic Trail designation by the International Mountain Bicycling Association (IMBA). 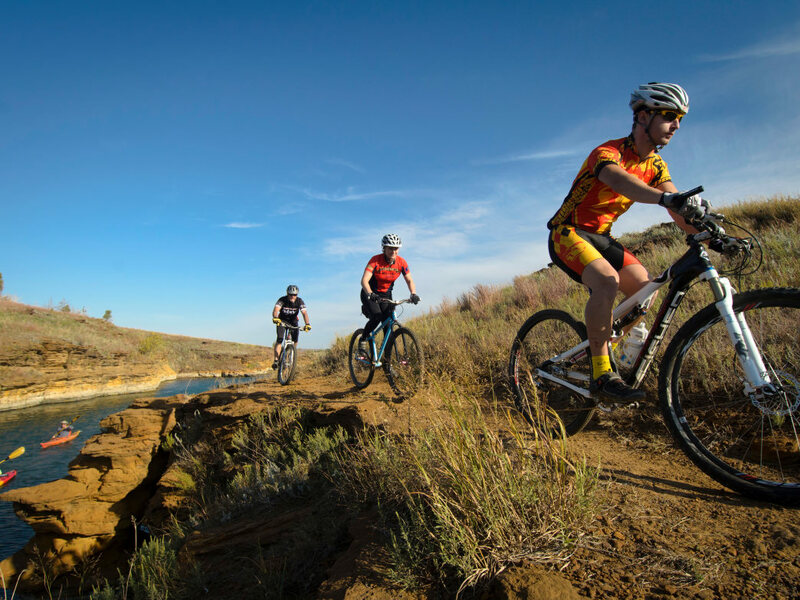 It’s known throughout the Midwest, and is a well-earned source of pride for local mountain bikers. Another option, just outside Kansas City, is the 7.5-mile network of singletrack at Shawnee Mission Park, with three sections, ranging from fast and flowy to more technical climbing. The trail sections at this quick escape from the city have something for both beginners and advanced riders. In the winter, there are several options for snowbirds to get their skiing fix in the Sunflower State. Just a few miles west of Lawrence, Clinton State Park has a five-mile trail dedicated exclusively to cross-country skiing. 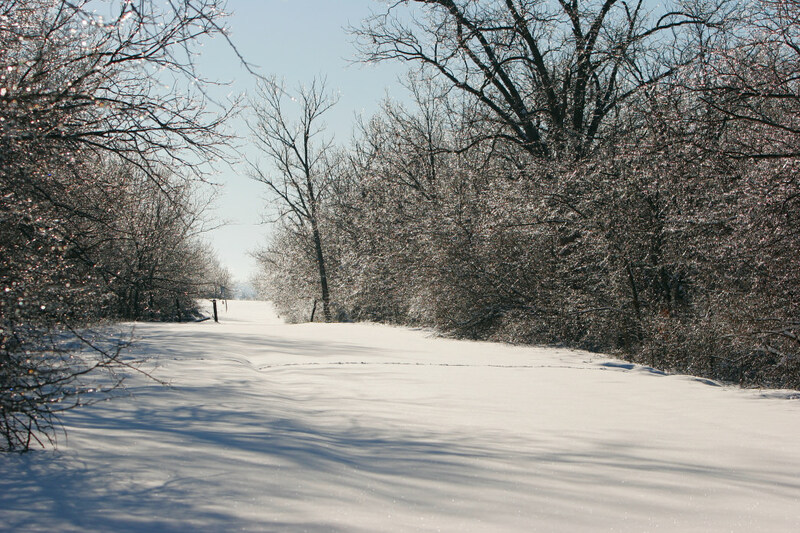 The Flint Hills Nature Trail is also open to cross-country skiing in the winter, and at 117 miles, you can go for as long as you want. Shawnee Mission Park and Mill Creek Streamway Park have trails that are accessible when there is snow on the ground, too. 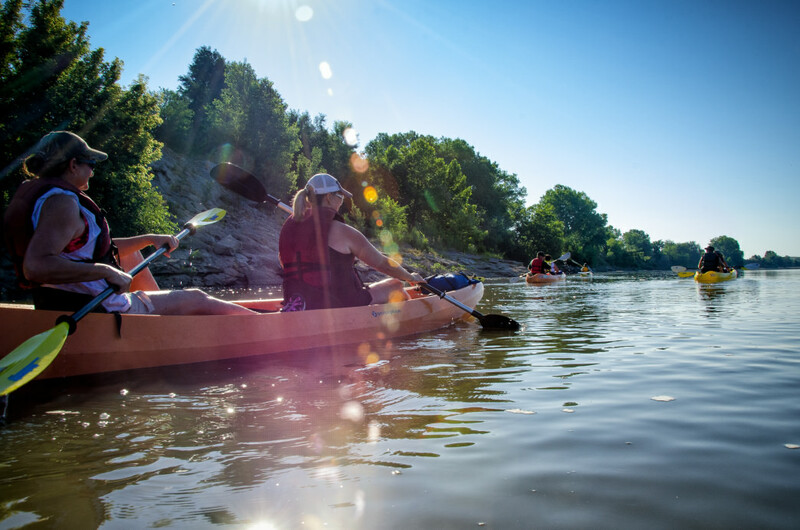 Outside Manhattan in northeastern Kansas, Tuttle Creek State Park offers access to quiet paddling on the Tuttle Creek Reservoir. The River Pond is a peaceful spot for beginners to get the hang of things, and you can rent a kayak or canoe here, too. Farther east, just 20 miles from Topeka, Perry State Park offers access to one of the Midwest’s premier sailing locations—Perry Reservoir. Additionally, both the Arkansas and Kansas rivers have also been recognized as National Water Trails by the National Park Service. You can access the rivers at many points throughout the state. Originally written for Kansas Department of Wildlife, Parks, and Tourism.